Everyone experiences pain in their lives. But how we handle it and what we do with it makes all the difference. In Don’t Waste the Pain, from Linda Lyons Richardson and David Lyons, you'll see how two people dealing with life-threatening illnesses and the loss of a child found joy and peace in the midst of their suffering. 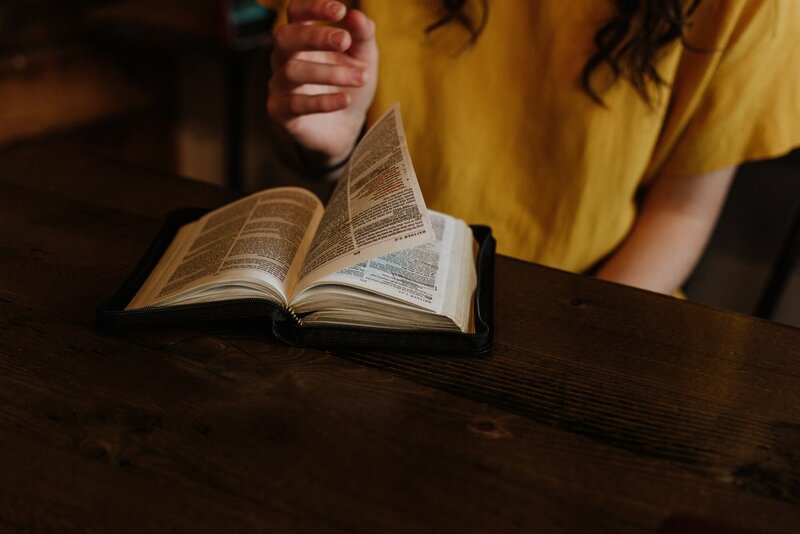 Through intimate journal writings and personal reflections, you will learn that faith and spiritual growth can come out of brokenness, pain, and grief. David & Linda's pain stories and their journey through pain are an encouragement towards growth and faith. Our passion is to help people continue on their journey of pain, gaining hope and starting to see God's purposes. These lessons are one of the ways that we want to help encourage you on the path. We believe the best way to process these lessons is with a group, but some people are more comfortable processing on their own. So, whichever way you're planning on processing, these lessons are available for you. 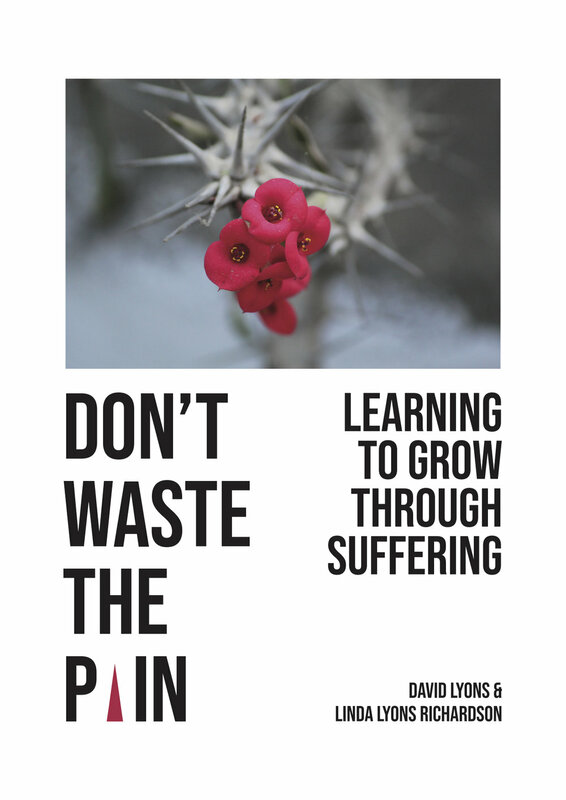 People who have done these lessons have found it very helpful to read the Don’t Waste the Pain book while they are doing the lessons. Reading the book is not required, and may be more than you want or need to take on at this point. You can benefit greatly from the lessons without reading the book. But if you do read the book along with the lessons, it will add much to your experience. A story of loss, redemption, and surrender. Is there a deeper purpose for her life? Can anything good come from pain? Here are a few resources that we’ve found helpful for growing through pain and suffering. Adapted by David Lyons from teaching materials of Grace Ministries in Manassas, VA. This one page prayer has been a life-changer for many who have come to the end of themselves. Written by David Lyons. This simple compilation of short thank-you notes written to the Holy Spirit help us to put life in perspective when you are in pain. Adapted and expanded by David Lyons from a prayer in Waking the Dead by John Eldredge. When you realize that you and your life are under serious attack by Satan the destroyer, this potent prayer enables you to fight back and get perspective. Tracks of a Fellow Struggler: How to Handle Grief by John Claypool. This short classic gives us 5 messages preached by Pastor Claypool after his daughter was diagnosed with cancer and later after she died. His frankness is stunning. His theology is pristine. His perspective is healing. Brokenness: How God Redeems Pain and Suffering by Lon Solomon. Lon is a pastor who writes from the crucible of raising a brain-damaged daughter. It lays helpful foundations for suffering well. From Grief to Glory: A Book of Comfort for Grieving Parents by James Bruce III. Bruce writes as a theologian grieving the lost of his own son. He draws on his rich knowledge of history and biography to walk us through what grieving parents of the past have to offer us today. Many quotes from this book have become bulwarks for us in our pain. A Grace Disguised: How the Soul Grows Through Loss by Jerry Sittser. This celebrated book was recommended to us often, and did not disappoint us. Professor Sittser writes from the unspeakable pain of seeing his beloved wife and children killed by a drunk driver. He writes with eloquent and jarring honesty, refusing easy answers that fall short of life’s painful realities. Hope: The One Year Book of Hope by Nancy Guthrie. She offers gentle, soaking healing rain in a day by day devotional written in response to the loss of two children. Over the course of a year she covers the gamut of questions one faces while in pain. Find more resources that David recommends in our Resources area.